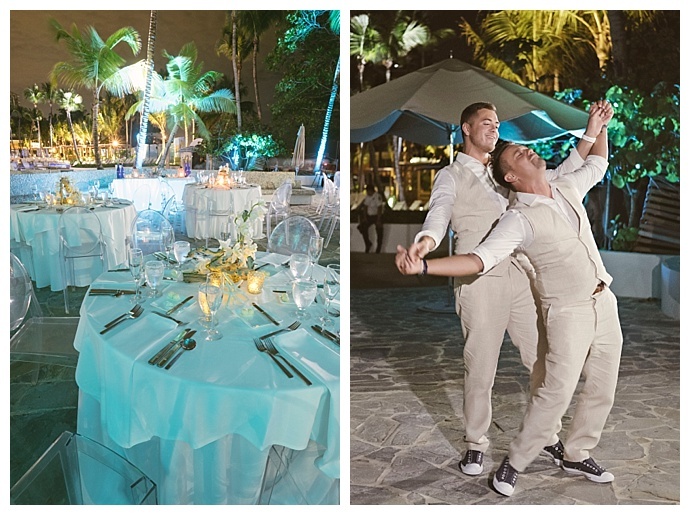 Destination weddings continue to soar in popularity, and when we come across a gorgeous, fun wedding like Jim and Rickey’s, it’s not hard to see why. 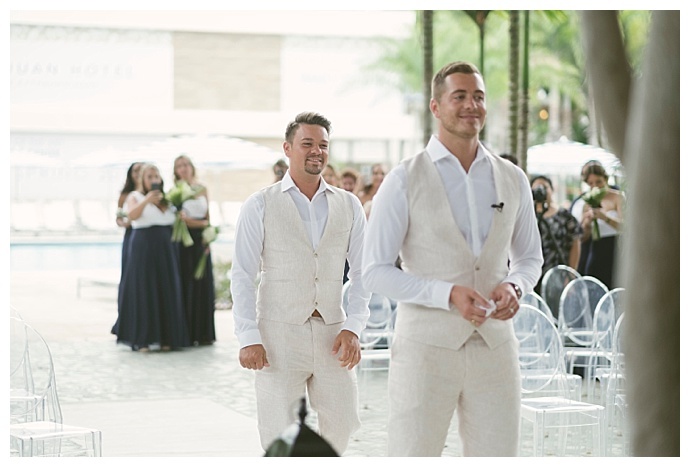 The grooms were sold on a destination wedding almost immediately, wanting to provide a once-in-a-lifetime experience for their guests and create wonderful memories of their special day. 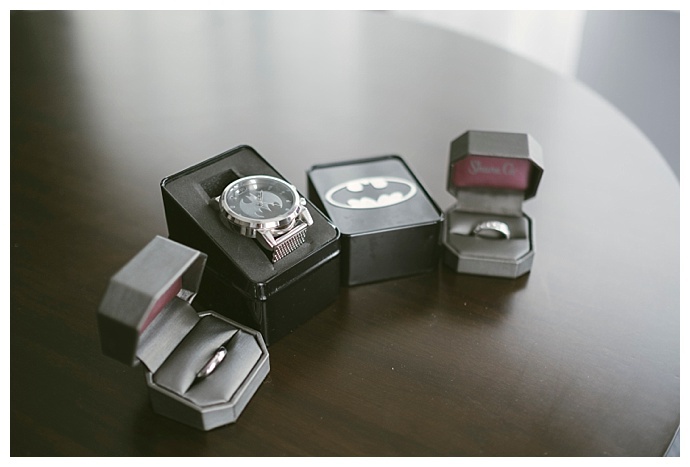 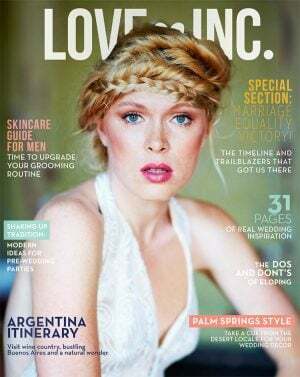 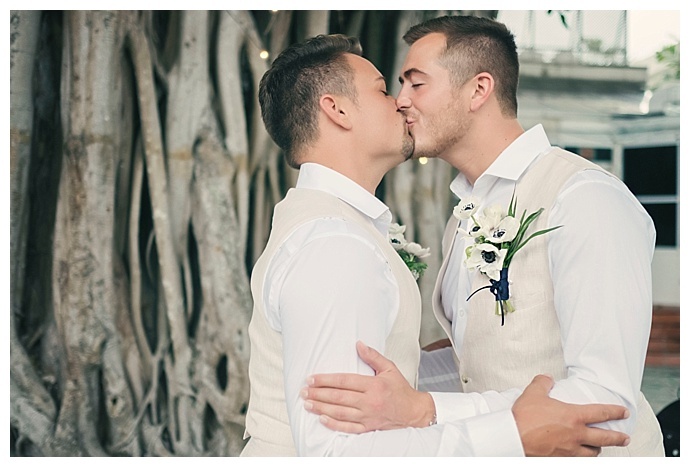 “Planning a wedding is very stressful and costly,” the grooms say. 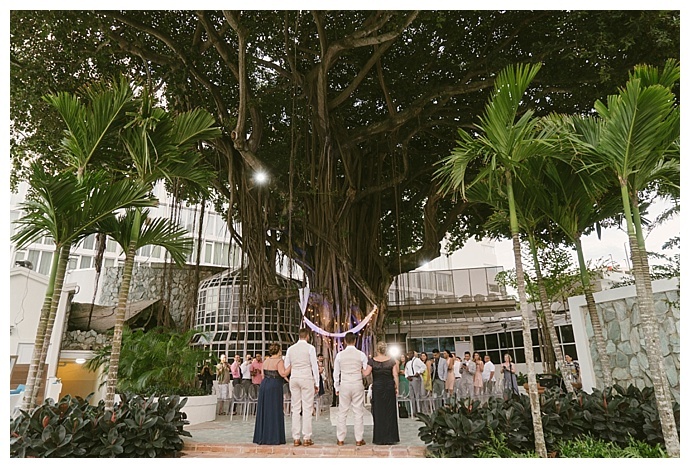 “We enjoyed entertaining our closest 70 friends on an island for a week versus our closest 300 friends on a Saturday from 5 p.m. to midnight.” With the beach just feet from where they said “I do,” E.P. 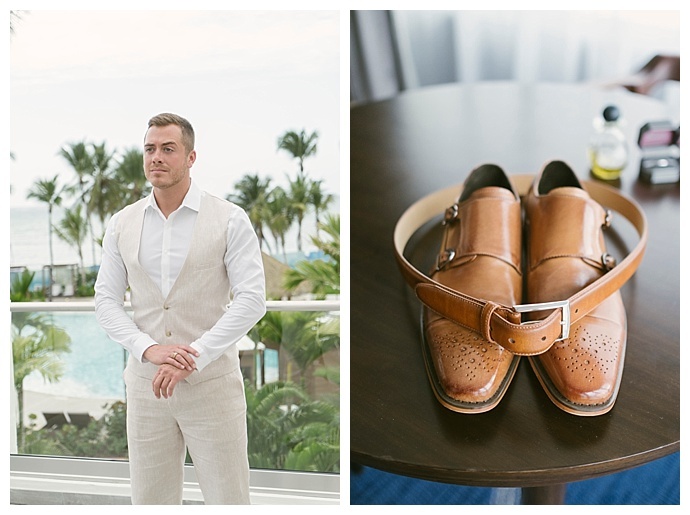 Anderson Photography was there to capture Jim and Rickey’s gorgeous wedding and authentic love, proving that destination weddings make for some of the best weddings. 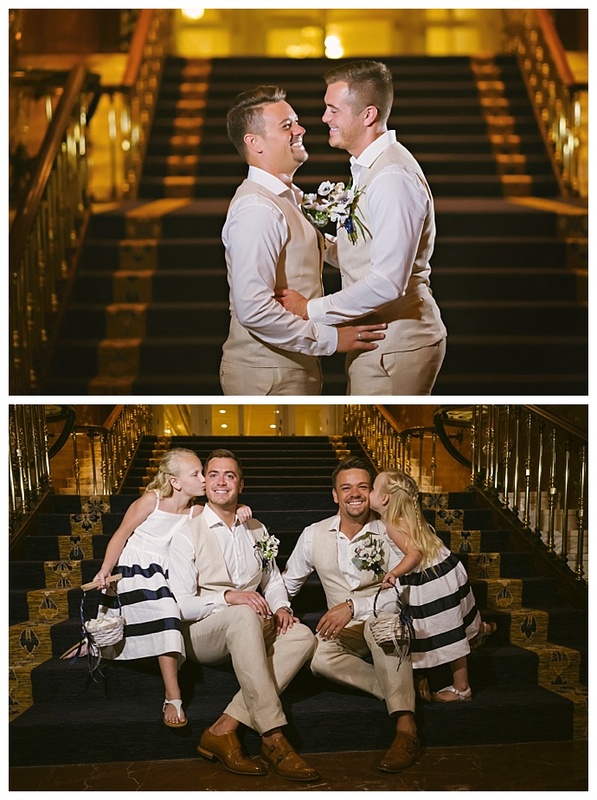 Jim and Rickey first met more than nine years ago when they were introduced by mutual friends. 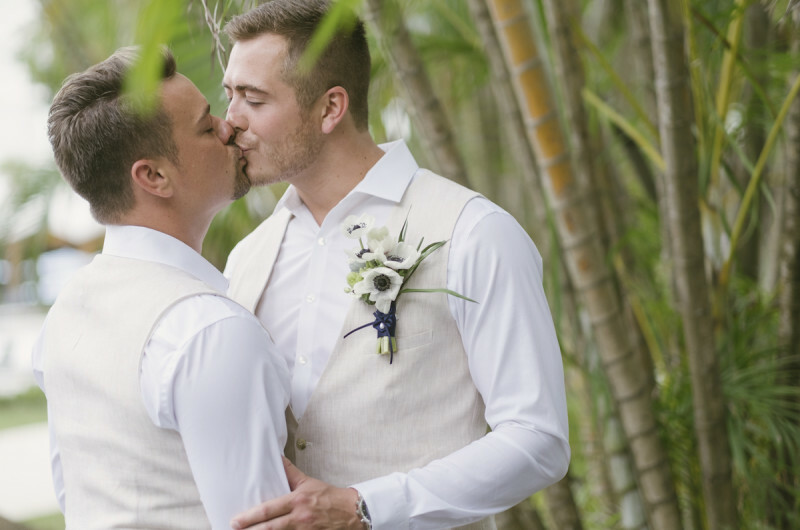 Proving that friendship forms a strong foundation for a relationship, Jim and Rickey didn’t start dating until a year after they met, and they’ve been inseparable ever since. 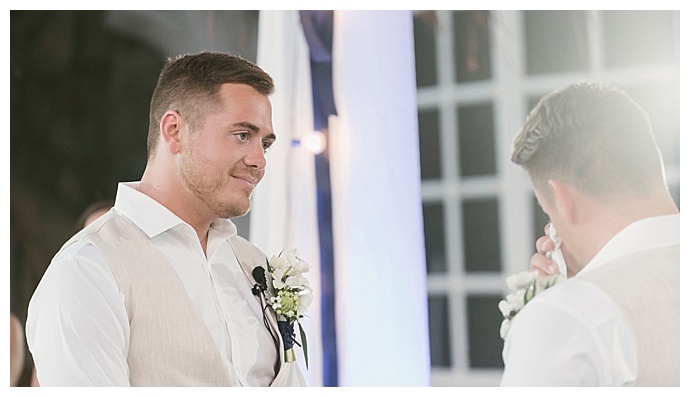 On their seventh anniversary, Rickey prepared a romantic picnic in Piedmont Park for his groom-to-be, and with a glass of champagne in one hand and the ring in the other, he got down on one knee just as 20 of their friends appeared to witness the emotional moment when Jim said yes. 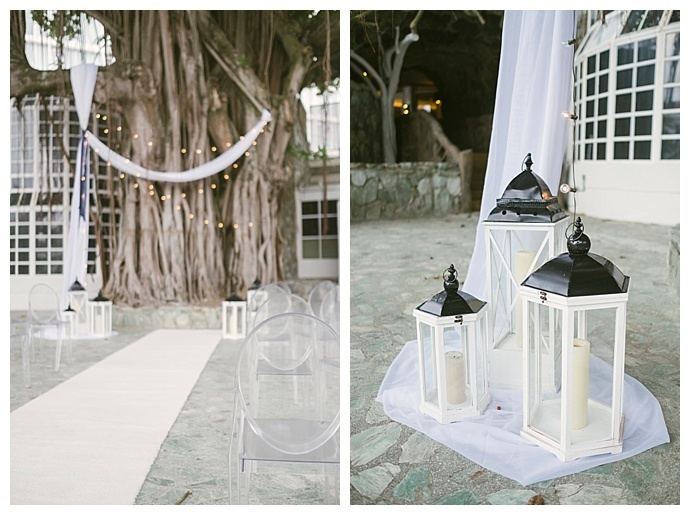 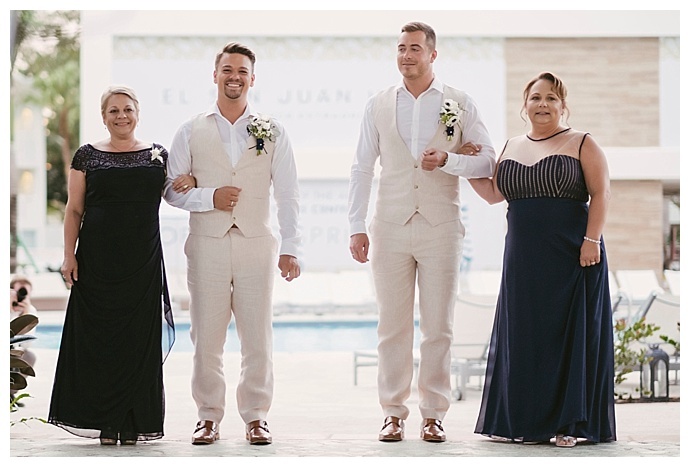 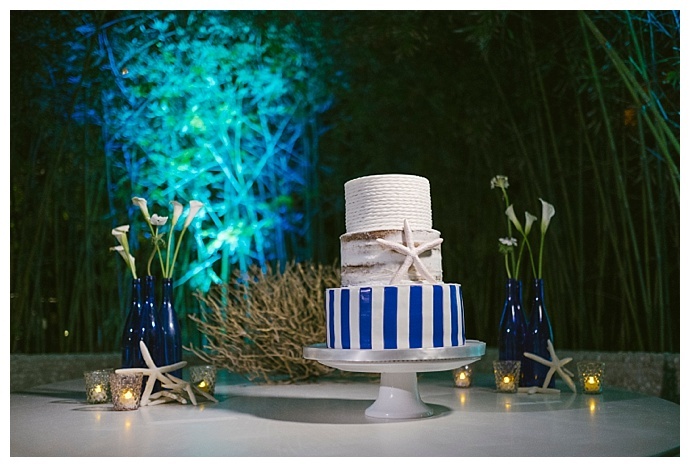 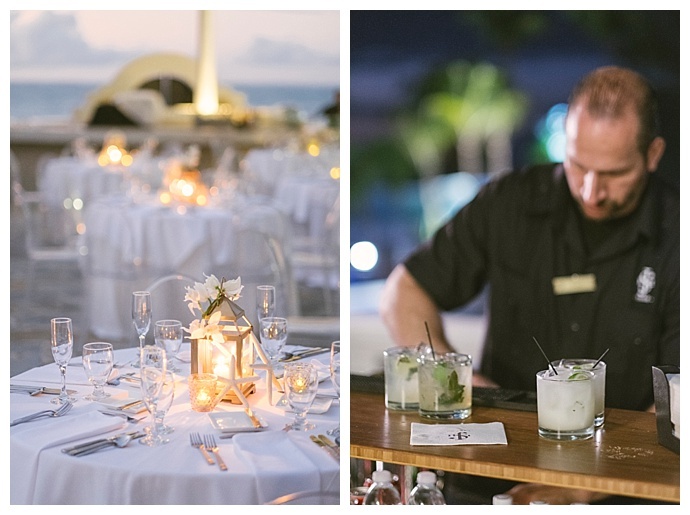 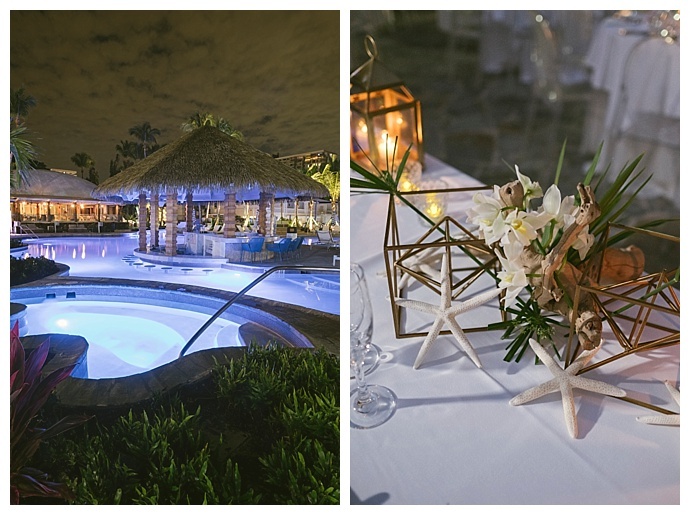 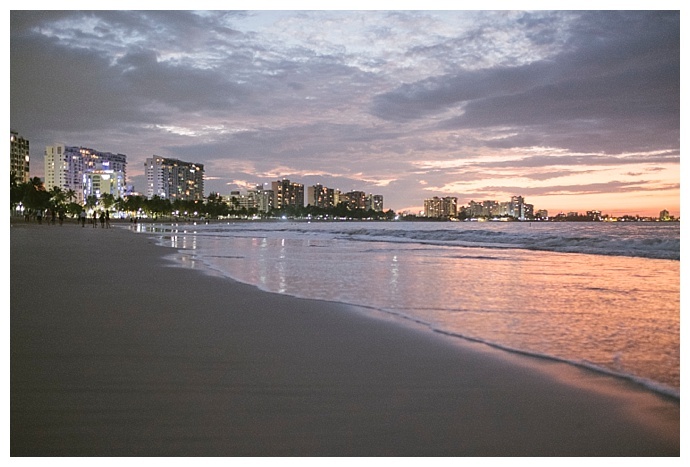 After visiting the El San Juan Hotel in Puerto Rico, the grooms fell in love with the paradisiacal white beaches and luxurious setting and decided it was the perfect place to say “I do” for their destination wedding. 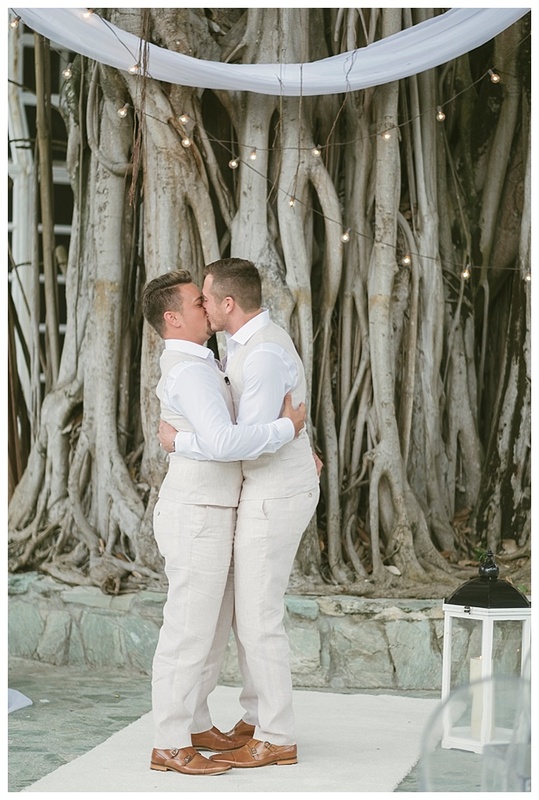 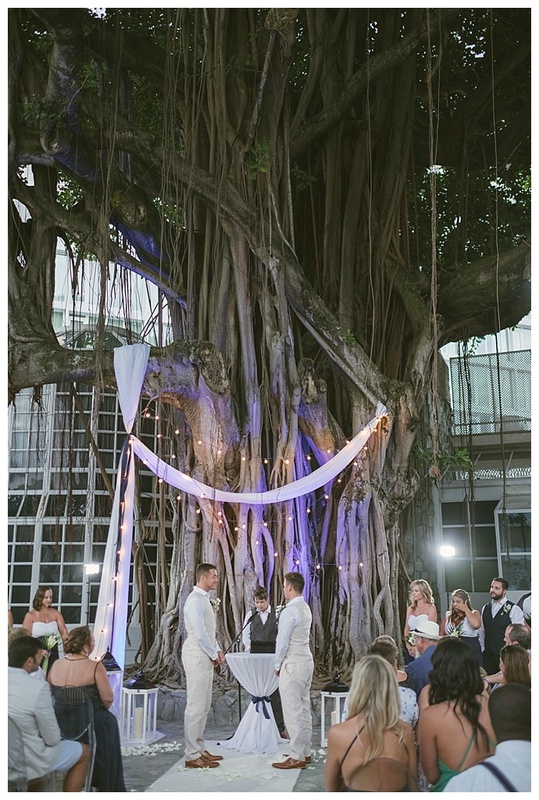 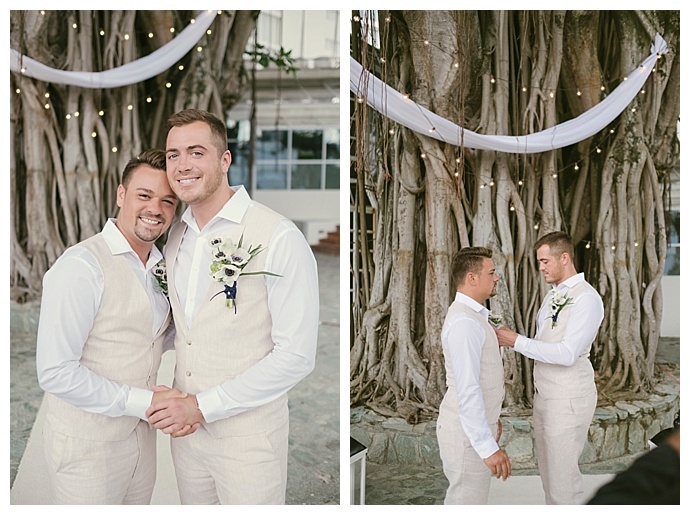 Underneath a legendary 300-year-old Banyan tree, Jim and Rickey exchanged tearful vows wearing custom white linen suits with a bundle of white anemone as a boutonniere. 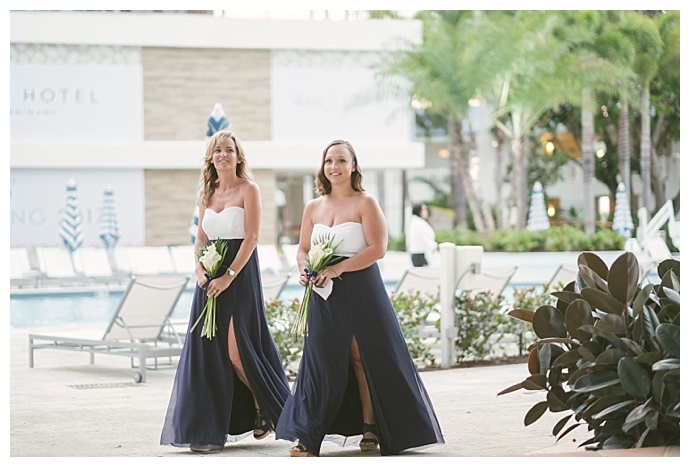 The men in their wedding party donned dapper navy blue suits while the women wore a romantic dress with a sweetheart neckline and long, flowing skirt that the grooms designed themselves. 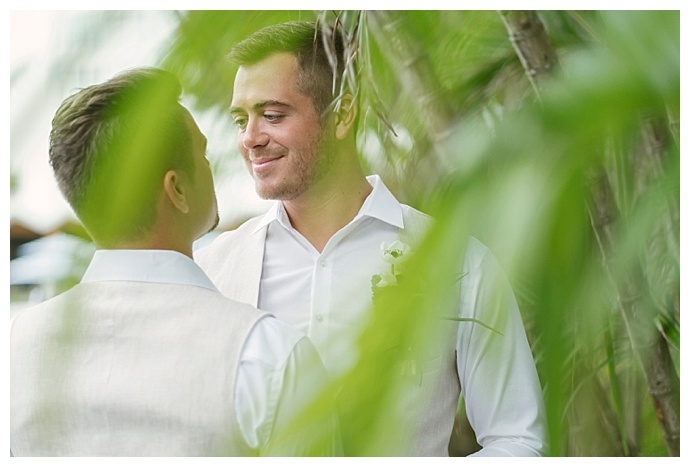 Jim & Rickey’s Wedding Highlights from NDF Films on Vimeo.